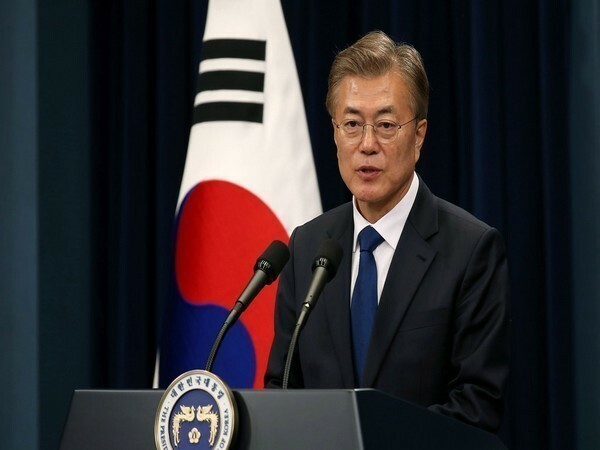 Seoul [South Korea], Feb 11 (ANI): South Korean President Moon Jae-in on Monday said that the upcoming meeting between North Korean leader Kim Jong-un and US President Donald Trump will become a critical turning point for achieving complete denuclearisation and long-lasting peace in the Korean Peninsula. "(The upcoming summit) will become a critical turning point that will advance to a specific and tangible level already agreed-upon principles, including the complete denuclearisation of the Korean Peninsula, new US-North Korea ties and a peace regime in the peninsula," Moon was quoted by Yonhap News Agency while speaking to presidential secretaries and aides at a weekly meeting here. Insisting that the second US-North Korea summit will push the communist country's denuclearisation process forward, the South Korean President recalled that peace was "not even imaginable" a year ago. "The fact that we are at the centre of a change that was not even imaginable just one year earlier did not come by chance. It was possible because peace is the right path and our determination finally reached that path," Moon said. Noting the success of maiden meeting between Trump and Kim that took place in Singapore last June, Moon further said, "The first North Korea-US summit was a historic event itself that was a clear milestone in world history. The upcoming second summit will take us a step further from here." Reiterating that the upcoming meeting would end confrontations between Washington and Pyongyang, the South Korean President put forth, "What's more important for us is that the meeting will be a critical chance that will help develop inter-Korean relations," adding that, "our future depends on stable peace."